A number of Chattanooga lawyers were honored for their work in serving the legal profession and the public during the Tennessee Bar Association’s recent convention in Nashville. Hugh Kendall with the Kendall Law Firm was recognized for his work as co-chair of the Ethics & Professional Responsibility Committee’s Transition Subcommittee, which worked this year to present a comprehensive plan on how lawyers can be prepared for the transition of their law practice in the case of death, disability, retirement or incompetency. Together with Nashville lawyer Marisa Combs, Kendall drafted proposed changes to the rules governing this issue, as well as materials for lawyers to use. Kendall and Combs also produced a seminar on the topic. Kendall received the president’s award from outgoing TBA president and Nashville lawyer Jacqueline Dixon. I have always believed that education is the great equalizer. It does not solve all of a person’s problems, but a good education can go a long way toward leveling the playing field a person finds himself playing on over the course of his life. Education is definitely a key ingredient to financial security. If I am correct in my assumptions about education, why is it that we as a country make it so hard for our children and young people to get a good education? Sheri A. Fox has been named a Fellow of the Litigation Counsel of America, Baker Donelson announced last week. A shareholder in the firm’s Chattanooga office, Fox has a wide range of experience in litigation, with a significant amount of focus in the health care field. She counsels and defends hospitals, long term care companies, physicians, nurses and other medical professionals against a variety of malpractice, liability and other claims, and counsels and defends drug, device and pharmaceutical manufacturers in product liability cases. I have chronic low back pain, neck pain and migraine headaches. I feel sure that most of the pain is due to a wreck in my thirties. I was stopped at a red light to make a left-hand turn when a drunk driver plowed into the back of my car. I did have on my seat belt, but it was before the days of air bags, so I suffered quite a jolt. My car was pushed through the light and into a parking lot on the other side of the street. I'd like to use a Portofino or St.-Paul-de-Vence dateline. But, after writing last week's column, on each writing opportunity in those locales, I was too exhausted. The Annual convention for members of the Arkansas Press Association concluded this past Saturday in Eureka Springs, one of my favorite Arkansas towns. Some of us more athletic press guys always kick the four-day event off with a golf tournament, which had as its venue this year, Holiday Isle. It was my first time on the course and it showed, as evidenced by the loss of three new Titleist Pro VI golf balls, which the lovely ladies at AT&T had donated to our cause. Are your potatoes boiling over? Everyone has problems. There is so much that can get in the way of what is real in our life that it is extremely difficult to stay focused. Since I cook a lot, I prepare one particular food that I can directly relate to life and its problems: boiled potatoes. On June 23, Ellen Breland of Chattanooga received news that would change her life: She is the winner of the 2013 St. Jude Dream Home Giveaway in Chattanooga. The 3,000-square-foot single family home was built by G.T. Issa Construction and is located in the Hawks Landing subdivision of Apison, Tenn. The winning ticket was pulled from 7,000 tickets during the live St. Jude Dream Home Giveaway special on WRCB Channel 3. What’s black & white and cute all over? Brainbuster – Make your brain tingle! This column was originally published in the Hamilton County Herald on September 28, 2012. One of the things on my bucket list is to visit America’s National Parks. America has so many little known facts surrounding the states I’ll be exploring. See how many of these you know. I used to say no one sets out to make a bad movie. Having seen White House Down, I realize that’s not true. Here’s a movie so outlandishly stupid, everyone connected with making it must have fully committed themselves to producing the dumbest possible film. 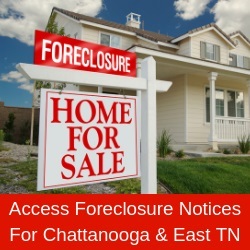 According to a RealtyTrac report, 20 percent, or 167,000, of American homes are abandoned after foreclosure. The report says that states with long foreclosure timelines contain higher numbers of vacant foreclosures. Florida and New York have 55,503 and 9,173 vacant foreclosures, and Illinois has 17,672. The prices of homes have increased and foreclosures are a lot less frequent, but some appraisers say that giving a value to a property remains an issue. While the local housing market has improved and given appraisers properties to compare to determine a concrete value, appraisers say they’re still having difficulties. What was going on in Chattanooga in 1963? The appointment of Dr. Don A. Cannon as medical director of Bork Memorial Hospital was announced by Roy McDonald, chairman of the board of trustees. Dr. Cannon, who spent the past two years in the U.S. Public Health Service in Atlanta, recently opened an office for general practice of medicine at 804 Tunnel Boulevard. What was going on in Chattanooga in 1913? Among the diners at Signal Mountain Inn July 4 were Mr. and Mrs. Bernard Loveman, Mr. and Mrs. H. Clay Evans and party, Mr. and Mrs. George Fort Milton, Dr. and Mrs. J. W. Johnson, L.L. Fischer, R.C. Richard, Miss Augusta Gardenhire and Miss Ann Watkins. Warehouse Row’s Civil War era buildings will fittingly serve as the host of the returning event series dubbed Crafted by Southern Hands. The event will showcase fashion, art, décor and food created below the Mason-Dixon Line.